Hi y'all and for first thing i'm sorry about my bad english. 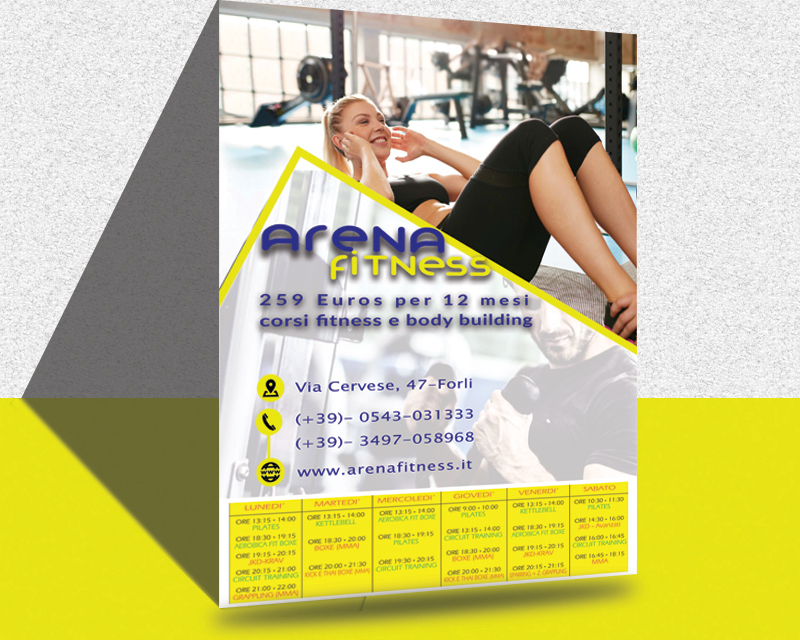 We are a gym in Italy with two souls, two core business. 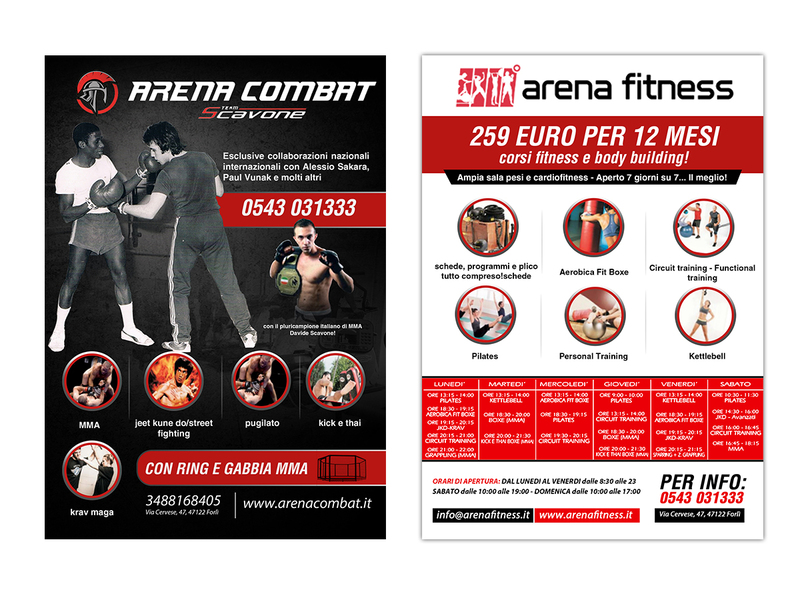 One is fitness (cardiofitness gym and body building, and classes of pilates, circuit training, aerobic fit boxe and kettlebell training) and one is combat sport: boxing, muay thai/kick boxing/K1, MMA, Jeet kune do, Krav maga). 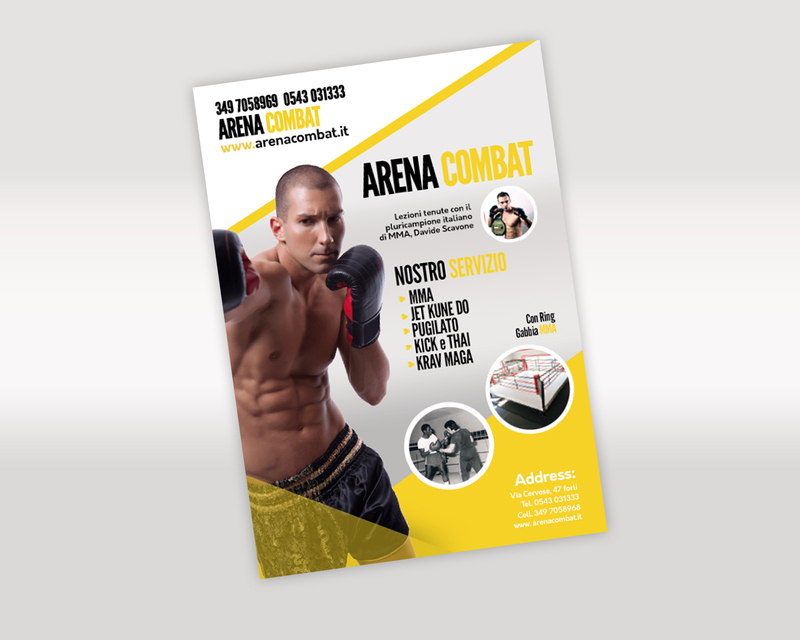 Our current flyer is an A4 format, but you can try something a little more small. 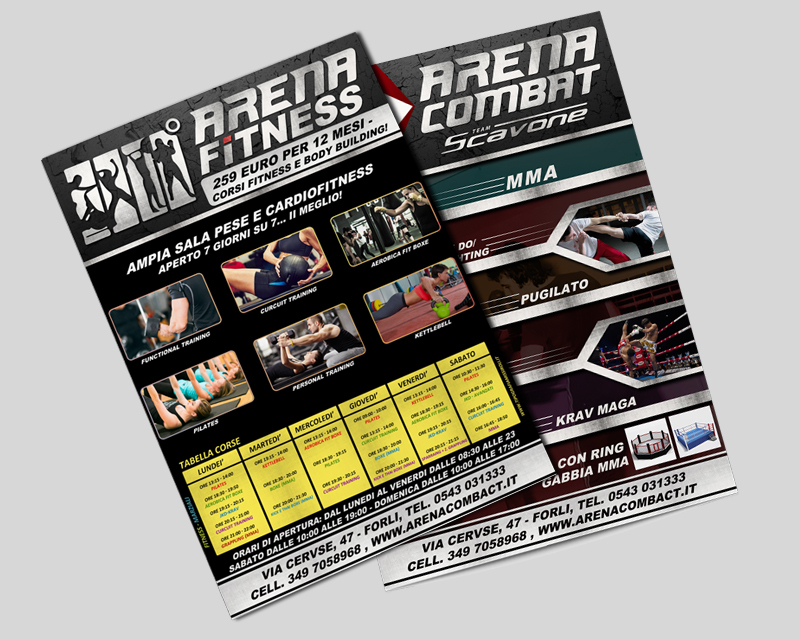 I thought one side about "arena fitness" and one side about "arena combat". 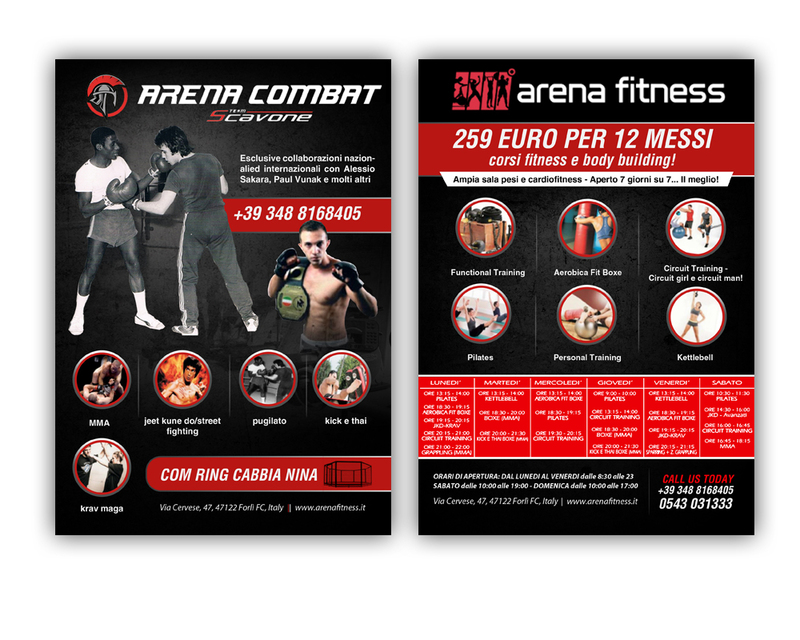 I put the old flyer for example, but i don't want a similar one! 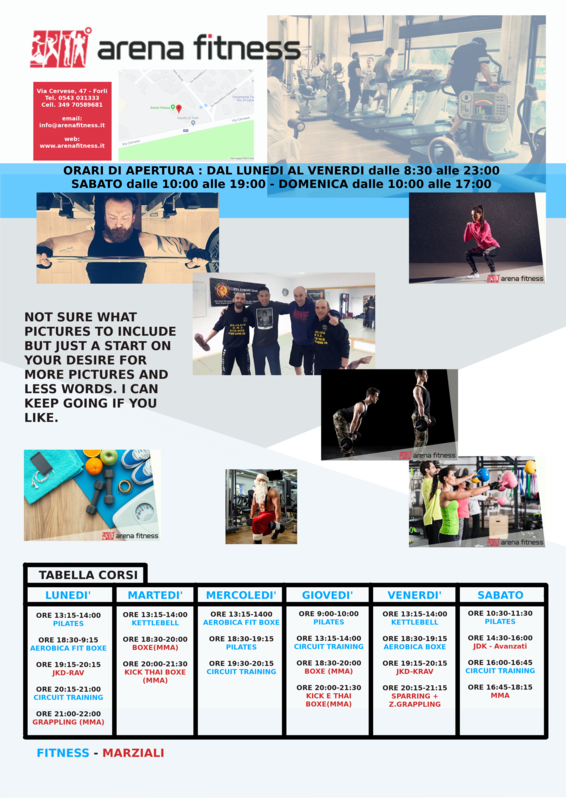 You can do and try everything you want! Tha only thing i ask is one photo about "boxing" that is the original one with a young instructor luigi. 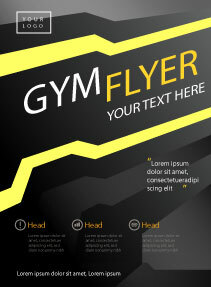 Another thing is the text. In the old one there is many text but i don't know if is a good choice, or is better make something more graphic and less writing. And for the info to send back to website. A4 or even a more small format. 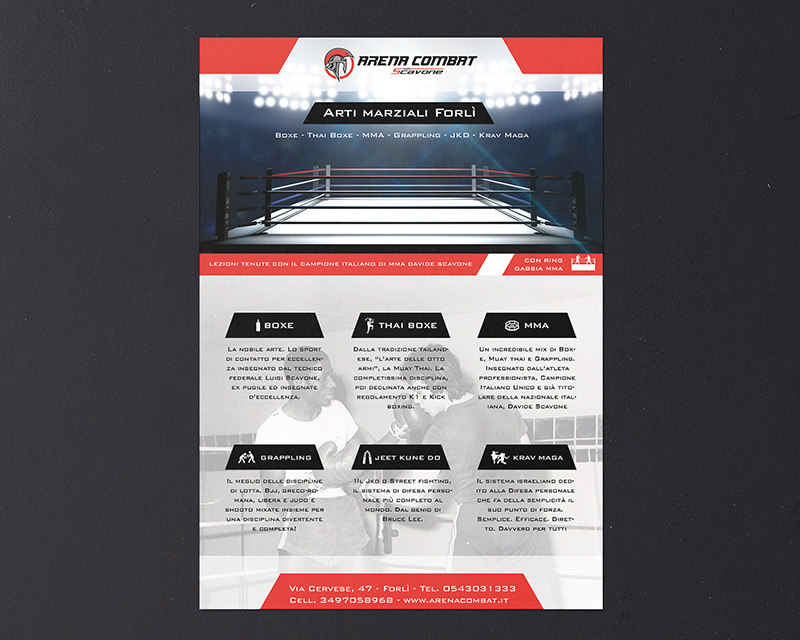 Photo about boxing: use the original that i upload you, but all the other photos you can do and take from web what you think is better. 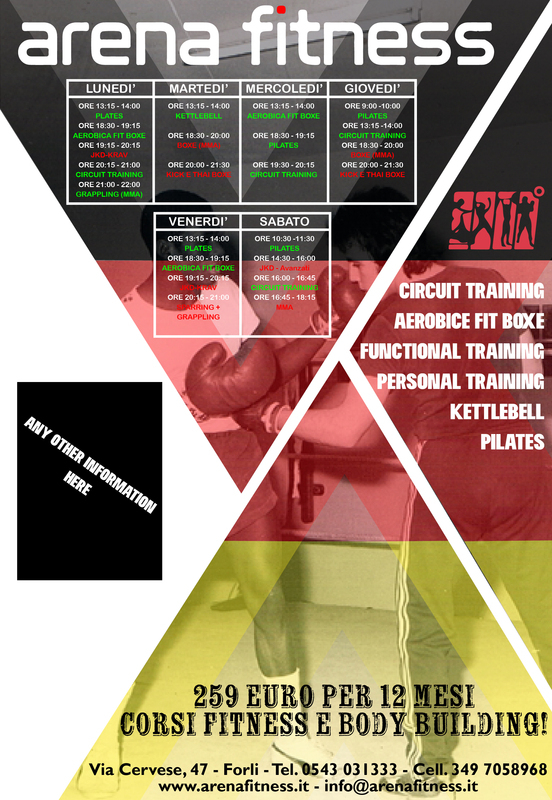 Hour table in the flyer. 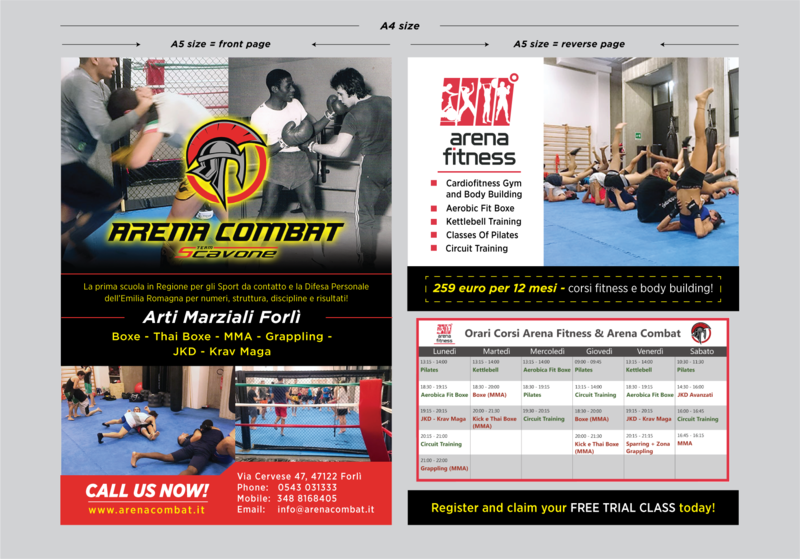 Telephone, websites and address in the flyer. 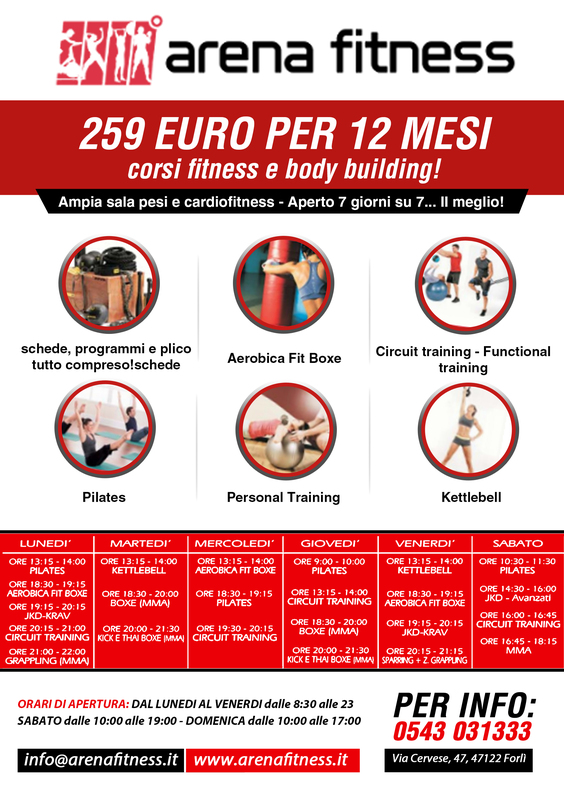 In the side of fitness the promo "259 euro per 12 mesi - corsi fitness e body building!") is important and our battle horse. It would be perfect, two version of the same flyer. One A4 with more text, and one more small.